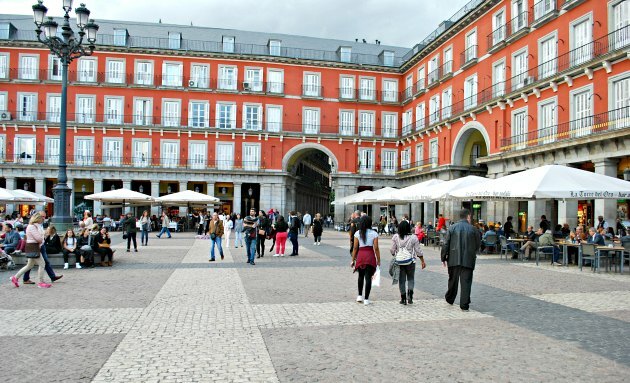 Plaza Mayor is a historic public square in Madrid. It was built to emphasise the prowess of the city when it became Spain’s capital and when you visit, day or night, it’s a beautiful place to be. On three sides the buildings follow the same pattern and are painted in the same deep red colour, all with identical wrought iron balconies. The exception is the striking building on the north side which is covered in impressive frescoes. Your eye is drawn to this central building because of the paint and the design. You know instantly that this must be an important building. This building is in fact the Royal Bakery (Real Casa de la Panaderia) and the current frescoes are actually quite recent. They were completed in 1992 when Madrid was the European Capital of Culture. 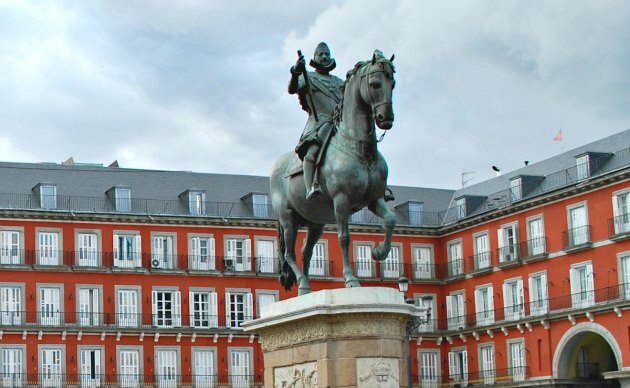 In the centre of the cobbled square is a huge statue of Felipe III who ordered the plaza’s construction. It also acts as Madrid’s best known meeting place now! The plaza itself dates back to 1619 when it was opened. Over the years it has been the centre of Madrid life, often with thousands of people crammed into the square for big civic occasions. They even held executions and bull fights here. Today it’s frequented by cafe goers and tourists who are interspersed with street entertainers and people in costume. There are also many Madrid walking tours which start here. 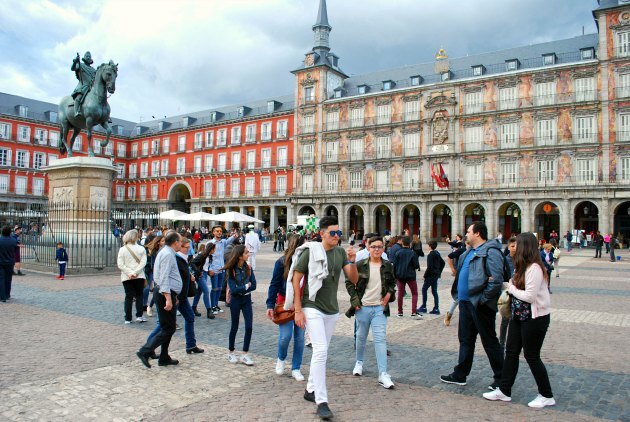 Plaza Mayor is well worth seeing in both the daytime and the night. The atmosphere here is always friendly and the lighting at night makes it look even more attractive. 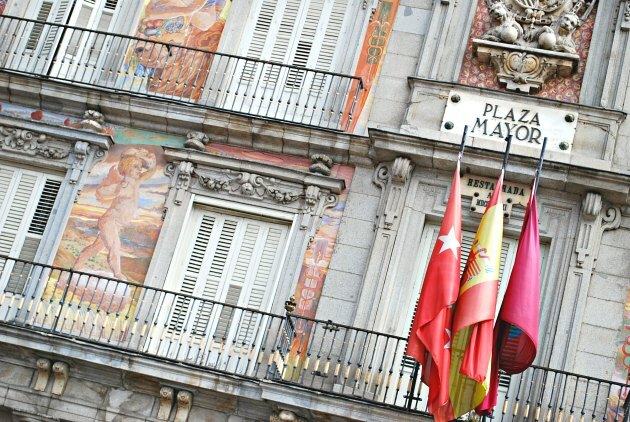 It’s free to visit the plaza and afterwards, spend some time walking around the connected streets as this is the oldest part of Madrid with attractive buildings and cobbled streets to see.